The Bevel Natural Solid Oak Bedside Table features a chunky, cubist design. 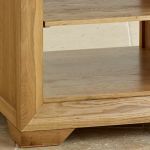 Every inch has been handcrafted by expert joiners from premium grade solid oak to ensure quality, durability and strength. 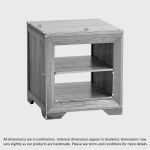 The design is distinguished by the softly bevelled face frame with carefully mitred joints. 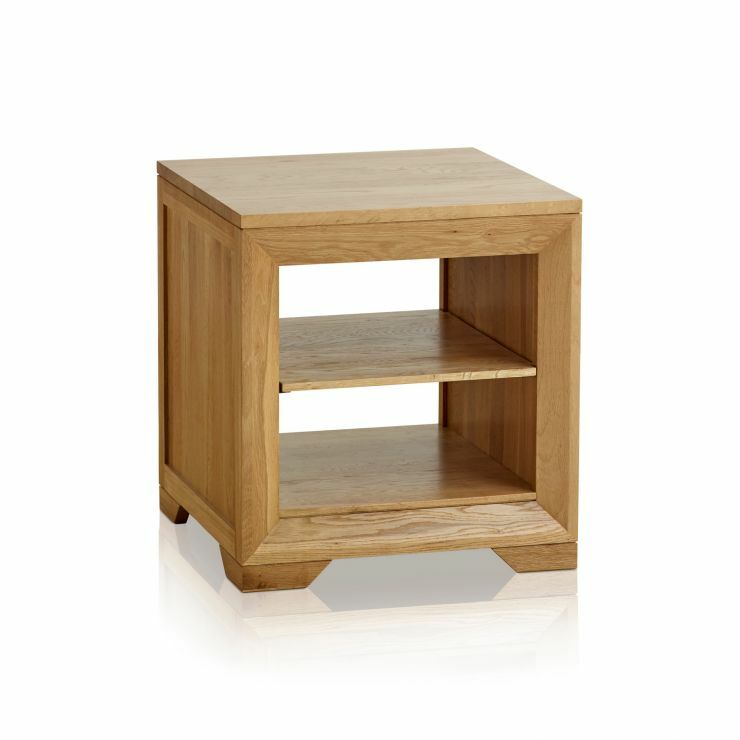 A handy shelf divides the unit, providing an accessible storage area for magazines or books. 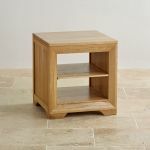 The whole unit stands on four elegantly angled corner feet and has been naturally finished to bring out the natural lustre of the oak's grain. 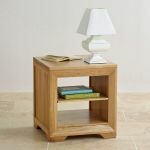 This is the perfect minimalist bedside table.